Unless otherwise specified, all GHS Lectures takes place at St. Andrews Presbyterian Church at 161 Norfolk Street at 7:30 pm. 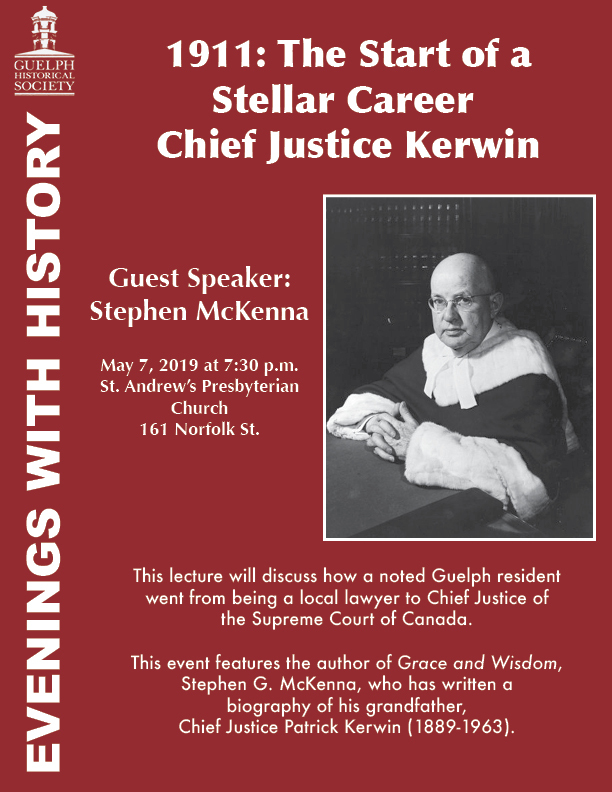 Our Guest Speaker is Stephen McKenna, author of the book Grace and Wisdom, a biography of his grandfather Chief Justice Patrick Kerwin. Lectures are held at St. Andrew’s Church, Norfolk Street.